What is Aadhar Biometric Verification (E-KYC)? Aadhar card holders can complete their KYC requirements by visiting any branch and giving Aadhar Number and verifying biometrics (Fingerprint Scan). 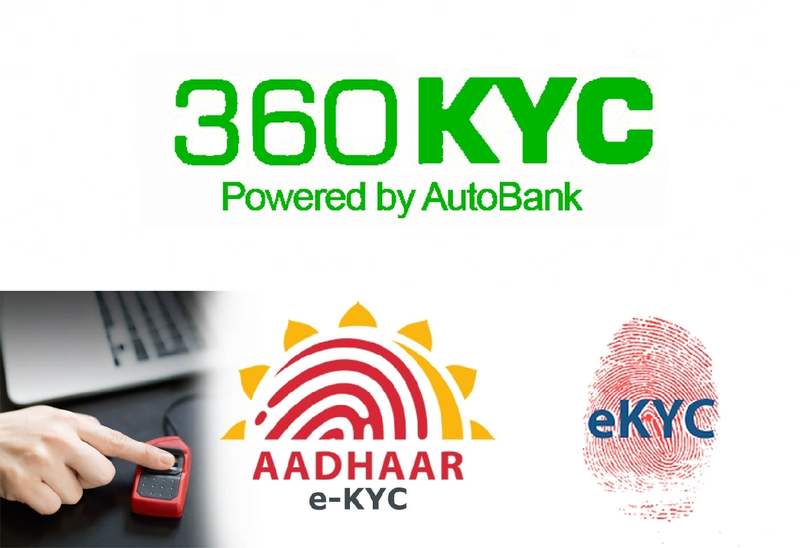 360KYC will authenticate Biometric information with UIDAI servers and complete KYC requirements of the customer. Bank can now go ahead and open accounts. Customer PAN is automatically verified by 360KYC by connecting to NSDL Database. 360KYC will find out whether the PAN is correct and will also get details about PAN holder’s name and DOB/DOI. This can be verified by the bank against details given by the customer. 360KYC will work with any CBS. We just need to identify client information master in CBS and will fetch details of the existing clients and their KYC Status. Remaining details will be updated in 360KYC and will fulfill all other compliance requirements. 360KYC can also update KYC status of clients back to CBS. NO. CBS is required but 360KYC can work with any CBS and complete all your KYC requirements and compliances. How will 360KYC complete my Central KYC requirements? 360KYC will fetch current Client information with KYC status from your CBS, will identify what is missing and will allow yu to update missing information. After the updates are done, all forms for Central KYC registry can be printed for Signatures and Photos affixation. After that they can be re-scanned into 360KYC and prepared for upload to central registry. Is 360KYC available on cloud or on premises? 360KYC is available on cloud as well as on premises. Cost can be configured depending upon number of branches, number of clients and additional features required.